One of them has vanished into thin air. One of them is in prison. The rest of them are on the most-wanted list. And something big is brewing. After defeating Swarm in a breath-taking stand-off, Nate has been arrested for his murder. In prison and isolated, he can't use his powers of influence at all. Flicker, Chizara, Kelsie and Ethan are on the run and in hiding from the FBI who believe the Cambria Five are domestic terrorists. And Agent Phan and the FBI have a secret weapon up their sleeve - a teenager with a superpower that the Zeroes haven't encountered yet. Meanwhile, Sonia Sonic and her growing band of weird-hunters are tracking inexplicable events across the country - and their investigations lead them to New Orleans during Mardi Gras, where the celebrating crowds promise enormous power to anyone who can channel it. 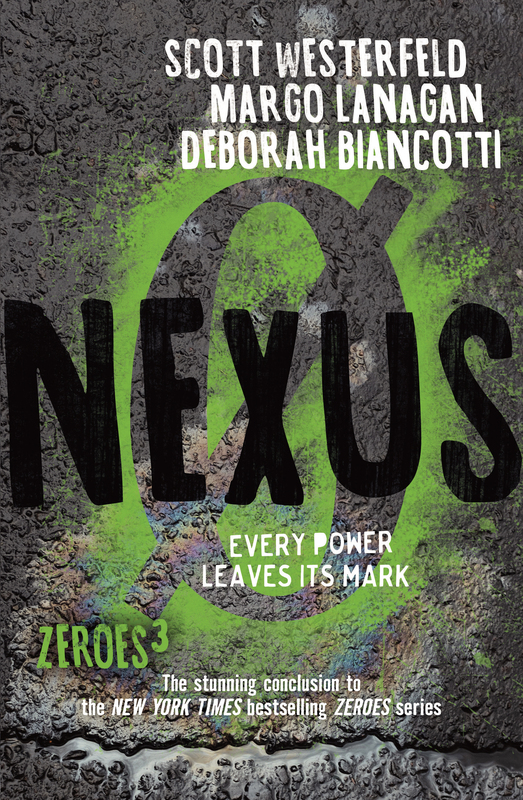 Time is running out for the Zeroes, but they must learn to trust each other again and combine their powers for good - to avert the looming disaster. A brilliant, action-packed conclusion to the superb Zeroes series.